FIT (the Fédération Internationale des Traducteurs/International Federation of Translators) is an international grouping of associations of translators, interpreters and terminologists. More than 100 professional associations are affiliated, representing over 80 000 translators in 55 countries. The goal of the Federation is to promote professionalism in the disciplines it represents. 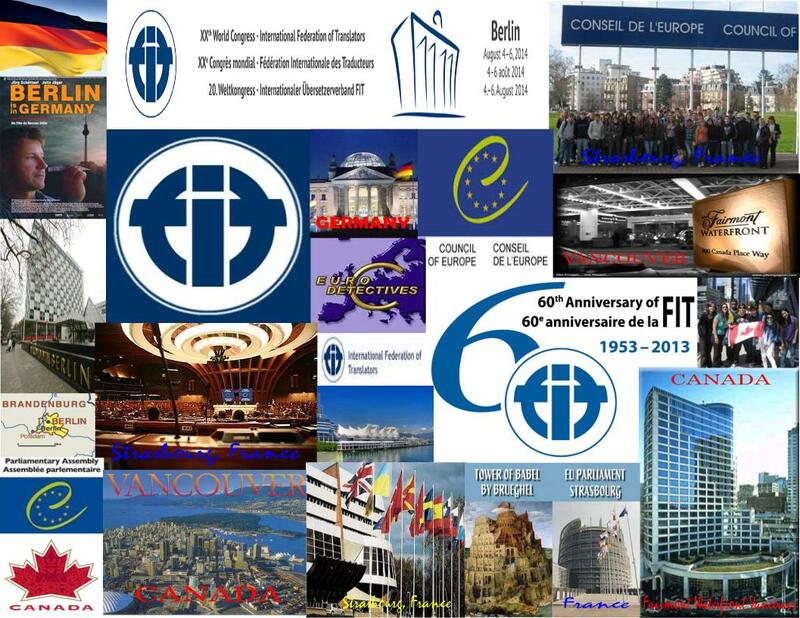 The anniversary celebrations will culminate at FIT’s 20th World Congress in Berlin in August 4-6, 2014. Every three years, FIT invites the industry to an international congress. Following successful events in Shanghai in 2008 and San Francisco in 2011, Germany’s Federal Association of Interpreters and Translators (BDÜ – Bundesverband der Dolmetscher und Übersetzer e. V.) is delighted to be hosting the professional world in Berlin as the organiser of the XXth FIT World Congress, scheduled for 4th August 2014. We are happy to announce that EU Commissioner Mrs. Androulla Vassiliou becomes patron of the World Congress. Communications, Languages & Culture Inc.